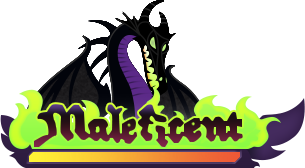 Maleficent is a Dimension Link for Terra in Kingdom Hearts Birth by Sleep. He obtains it after clearing Enchanted Dominion. The Maleficent D-Link enables Terra to use multiple Fire-based Deck Commands, along with ones that inflict enemies with negative status effects.